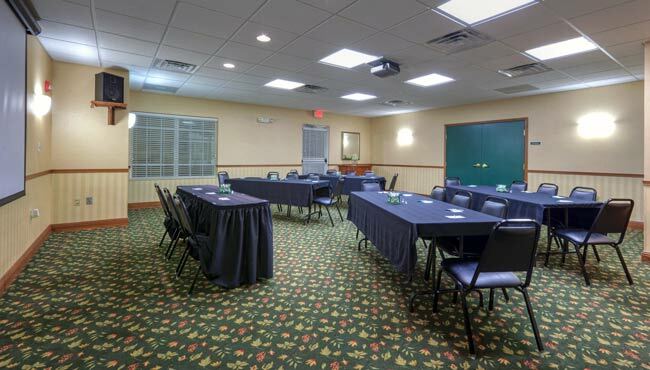 For gatherings of up to 45 guests, reserve the well-equipped meeting room at the Country Inn & Suites, Winchester. Ideally situated just off I-81, our hotel is a convenient spot for converging with colleagues and clients alike. Amenities like free Wi-Fi keep attendees engaged during your presentations, and the Shenandoah Valley offers plenty of activities for team outings after your meeting. Contact our experienced staff for assistance with planning your event in Winchester.